Besides novelty sunglasses and a shimmery red button-up, his silver hair, bushy mustache, and mannerisms are more akin to one’s grandpa than, say, Skrillex. But the night’s marquee act is Giorgio Moroder, electronic music pioneer, disco titan, composer, and at this stage of his career, headlining DJ. Born in Southern Italy in 1940, Moroder grew up on a bevy of American hits — Paul Anka and Elvis Presley mostly, but “African American singers” were his favorite, according to him. Beginning with guitar, he released a paucity of singles in his early twenties as simply “Giorgio.” By twenty-six he left for Germany to pursue music on a serious full-time level. “There was nothing for me in Italy besides family,” he says. In Berlin, his career bloomed with Oasis Records, an imprint he also helped establish. Once the label grew, he aligned himself with future disco powerhouse Donna Summer who was in Europe on extended stay, modeling and dabbling as a backup singer. The two worked in tandem, eventually yielding incredibly huge hits with “Love To Love You,” “Last Dance” and a few others that swept Europe for many summers. Moroder, simultaneous to all this, had opened Musicland, a recording studio that eventually housed greats like Queen, Led Zeppelin and David Bowie. He would later often mention how proud he was of his studio’s long run as a mecca for outstanding talent. Running Musicland proved lucrative, as was adhering to a burgeoning interest in electronic equipment. And while contemporaries like Kraftwerk were also highly experimental, particularly with drum machines, Moroder strengthened the era with prolific game-changing releases: the swirling synth-splendor From Here To Eternity, as well as E=MC2, the first album to be entirely digitally recorded. By the 1970s, Hollywood noticed his successes and came calling. 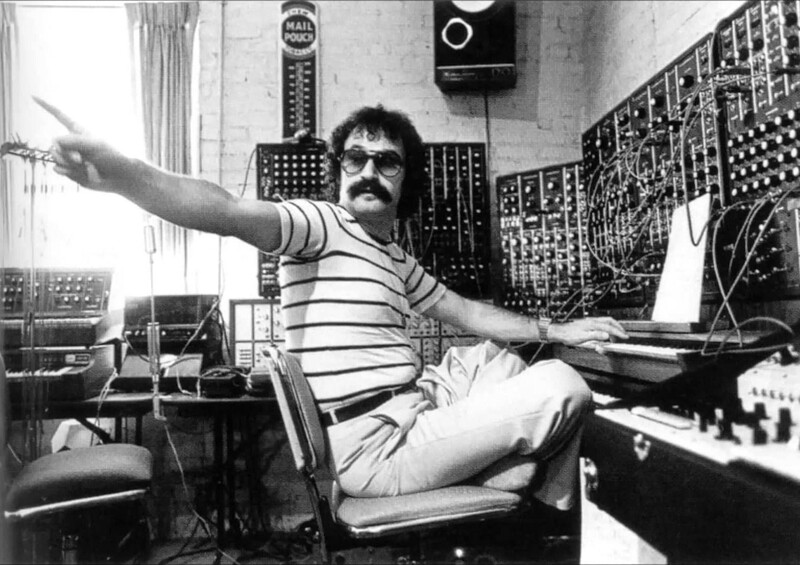 With opportunities brimming, Moroder moved to the States and began orchestrating paramount soundtracks and movie scores. He earned himself an Academy Award in 1979 for Best Original Score for the film Midnight Express. Other classics American Gigolo, Top Gun, Scarface, and 1984’s restoration of Metropolis, are all credited or co-credited to Moroder. The 80s were a mixture of high profile collaborations — David Bowie (“Cat People (Putting Out Fire)”) and Blondie (“Call Me”) — and more work in film. 1984 also marked his international standout with a track that would define him many years later, “The Neverending Story.” Despite written as the film of the same name’s main theme, it became a worldwide sensation. Nowadays, decades since its inception, it’s become living nostalgia with endless remix credits to its name. Between 1985 and 1992, he understandably halted prolificness, releasing only four solo albums with occasional, smaller collaborations. He says, simply: “I needed a break.” After a lifetime of pushing projects he relished the royalties from his thirty-plus years of triumph. In 1992, he released a fourteenth studio album to his name, the aptly titled Forever Dancing. Despite having Donna Summer on a much-ballyhooed reunion track, and despite the support of die-hards, it was released to critical-yet-quiet acclaim. Daft Punk’s juggernaut, Random Access Memories, not only soundtracked 2013’s summer months but also reintroduced Moroder to a new generation of dance music fans. 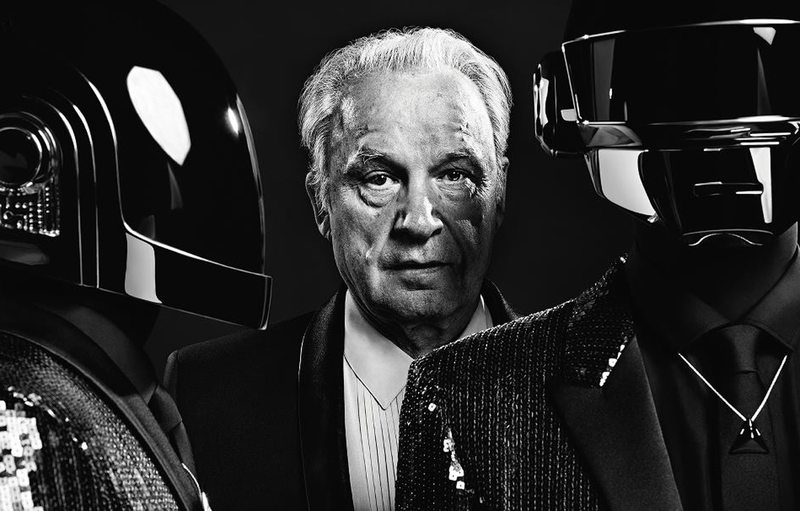 The song, titled “Giorgio by Moroder,” is a 9-minute opus chronicling his life and influence, expertly anchored by arrangements that align with his different phases. “I was very happy when I heard it. It’s phenomenal.” It jumpstarted his current watershed moment, a revival of sorts as a traveling DJ. Last year he released Déjà Vu, his fifteenth studio album and first official solo work in over two decades. He also gigs year round. Cuepoint spoke with Moroder during a respite before heading on tour to get stories behind his upbringing and his enormous artistic pivots. “For the next ten days I have to be back in Europe and that’s an eleven-hour flight. All the traveling sincerely gets rough. But I just love to perform,” he says. Cuepoint: What sort of music did you listen to growing up in Italy? 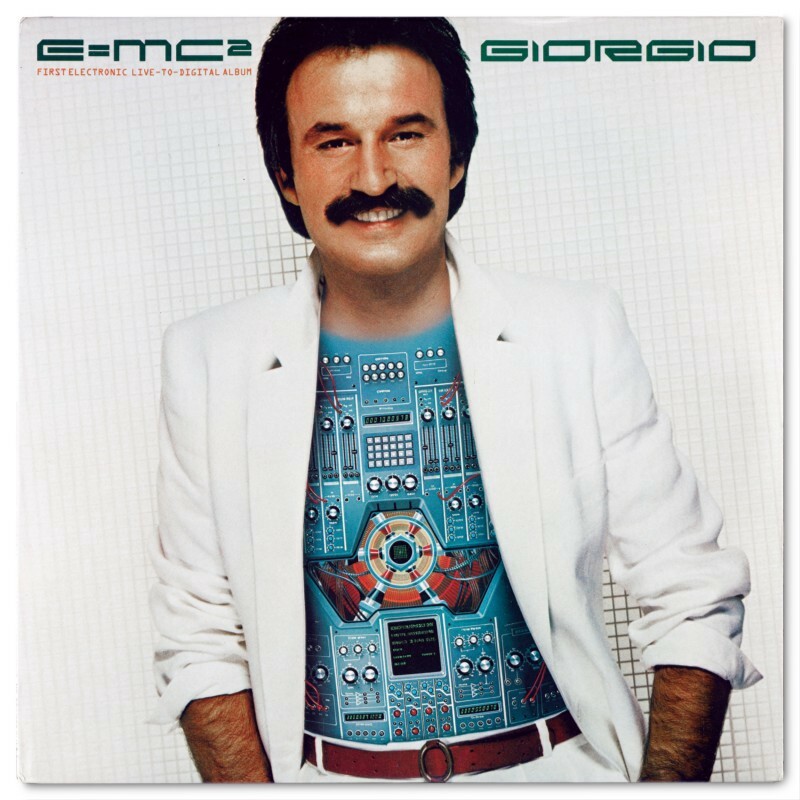 Giorgio Moroder: Well I never really listened to Italian music much or any of that old traditional, more folk type stuff. I was in Northern Italy so we were exposed to a bit more. The radio stations I listened to were English stations, so I listened to a lot of black artists growing up. A lot of American music is what I listened to, actually. There was a lot of Elvis Presley as well, of course. Bill Haley, I remember. The Platters as well and some of the early rock stuff. At that time, there were a ton of movies with African-American singers and I always loved black music. They would show these American films in my neighborhood so I would go and watch them at the local theater quite frequently. Around this time is when I started to play guitar because I was so curious. I suppose I became a bit more professional musician soon after, but looking back I was not very professional [laughs]. But I was able to travel when I was nineteen years old until I was around twenty-eight or so. We went to Germany, Switzerland, and other places and it was wonderful. But we were just doing a lot of cover versions back then. “Looky, Looky” was your first official release credited as Giorgio, right? Do you ever listen to your early recordings? How does it strike you hearing something you made so long ago? Yes, that was my first official release under my own name as a solo artist. But before that I had a few works, as a composer, some of which were good local hits. That was a great record too. That was a bubblegum record and with those type of records, you don’t need a great voice to do it [laughs]. So it came out quite nice. In fact, I listened to it a few months ago and I still thought it was interesting, even forty years later [laughs]. Like a lot of singles at that time, your releases were sung and released in different languages. But you’re also multi-lingual. So was it to sell records to a wider market or because it simply came easily to you? Well that’s how they do it in Europe, and it is really just a marketing tool to sell your record all over the world. But it was also natural for me. Some songs were in German and some were in Italian. I also did some in Spanish. It really was just to sell to the world market. You must remember that we were selling to South America and the States and all over. I don’t know if American records also did that then or now, but Europe definitely did. I of course speak Italian. But I also speak German and English. Later in life I learned to speak Spanish too. Same with French, I became fluent later in life. Please recall your days at Musicland Studios—Elton John, T-Rex, Rolling Stones were just a few who recorded there. What do you remember most about running a studio? Well, I made sure that as an owner, I wouldn’t be like some of the other owners I worked with [laughs]. Studio owners I’ve seen like to come in and hangout and talk to the stars. That gets in the way and I didn’t want to be like that. As an artist, I can understand not wanting strangers there when you’re recording. It’s annoying if somebody shows up and just lingers about, so I never did that. But I was young when it opened and I remember I was still learning a lot. When or if I did run into an artist, I would try to stay out of their way. Mick Jagger and Keith Richards were there and I met them and we hung out. Even with a reputation as wild rock guys, they were very very polite. I also saw Freddie [Mercury] a lot. But most of the others who ended up making records there, I never met. I was busy as well, it was a busy time for me. I actually had moved to the States then but still owned Musicland and many people still came through to record there. It was an absolutely great studio. Elton John did a lot of great stuff there that I’m proud to be a small part of. A lot of Queen records were made there too. I told David [Bowie] to go record there when he called me looking for a studio. A bit after this time you became interested in synths and less traditional instruments. What about them grabbed your interest? I always liked the synthesizer and had always admired Walter Carlos’ Switched on Bach, which were all synthesizer-based versions of classical songs. I thought it was a great instrument and I had an acquaintance who was a technician that had one of the first big MOOG models. So I started working with this guy. And while we were working, I felt he was one of the only few guys who could actually get a great sound out of the machine. So it was around then that I got into those sounds and after that I went into electronic instruments much more in-depth. Talk a bit about your time at Casablanca Records and the work you completed there. After about five years or so in Berlin, I just thought it was too far from home in Italy. So I moved to Munich sort of permanently out of convenience, and that’s when I had a few hits. So Casablanca was the first major record company I fell into and that’s around when I met Donna [Summer]. All the staff loved her and took to her and promoted her correctly and help made what she became. But it was a major undertaking from Casablanca, especially Neil Bogart, for her to become a big major star. Donna Summer alongside Giorgio, sporting a Musicland Studios t-shirt. How did you and Donna Summer meet? What was your first impression? Donna was living in Germany and was singing in a musical that just ended. So she was just hanging out with her husband and enjoying Germany. She was doing small background singing stuff and that’s how I found her. I knew right away that she was just really, really impressive and I knew she would be a star. So I got her in the studio and she was back then — is and always would be — an absolute great talent. She came from a black music background so she knew her stuff. She had lived in Boston and performed there for many years. She was in many musicals before too, so she had a lot of training. Many people don’t know this but she also played piano very well. So she is so much more than just an accomplished singer. You’re considered a main pioneer of dance music and it was this disco period with Donna where it all began. Yes, exactly. At first I loved living in Berlin even though I was a little homesick, I had some successes there. But it was my time in Munich with Donna that made us both stars for a time. We had two songs that did okay, I don’t remember them exactly. But the main song that launched me, and launched Donna, was a disco track called “Love To Love You Baby.” And that sort of launched this disco image of me. I always just made whatever kind of music I wanted or was into, but that record made people associate me with disco. I am proud of it, of course. It was after this disco phase that you experimented more with electronic equipment. Tell us about the transition and era. Well in 1978 or 1979, I did “I Feel Love” with Donna and that was much more of an electronic-based song, more electronic than disco I would say. So that just pushed my reputation as an “electronic music guy,” but there were already a few of us all doing the same thing. We all took music to new areas with technology without pushing too much I think. Myself, the Kraftwerk guys, Tangerine Dream, and so on. Maybe what I did was just right before others but I feel it was all around the same era basically. Talk about E=MC2. It’s considered the first album to ever be recorded digitally. This was a total experiment. The way we had the high-pitched voices and such, some people liked it, some hated it. So, in the end I wasn’t sure if all my decisions on that record were good ideas [laughs]. What I really remember is that we recorded it in three days and it was extremely, extremely expensive. I think it was $10,000 a day to record there [laughs]! Around this time you dabbled in film scores which launched your work in many American films. You earned your first Academy Award for Midnight Express. What do you remember about the night you won? That was — on one hand — absolutely great! And on the other hand, it was terrifying [laughs]. I was terribly nervous but of course it was an honor. I was still a little surprised, but it was not a huge surprise because I had won the Golden Globes and other awards leading up to it. All the critics from New York and Los Angeles all loved it and were saying nice things so there was not a huge element of shock or anything. At least that’s what I told myself [laughs]. I was sitting there in the theater, and when they announced it, I was very, very nervous [laughs]. In fact, I forgot what I wanted to say and forgot to mention so many people I wanted to thank that were involved with the record. I still feel bad to this day. When I think back now about how I was on that stage, it’s an absolute embarrassment [laughs]. You contributed to the famous Scarface soundtrack, which is of course was, and still is, wildly popular here. What comes to mind when you think back on it? First off, it’s a great movie and I love it, as a movie. But when it first came out it didn’t do too well — it was later with VHS and DVD that it became a cult movie. But it is interesting how many people liked it. It especially seems to have been accepted in African-American community and rap music seemed to embrace it, which of course, makes me very glad. I only have a few tracks on there and I don’t particularly like them [laughs]. What about your work on Top Gun? Talk about that a bit. Well, I just did the two songs, “Take My Breath Away” and “Danger Zone.” With “Danger Zone” we had a few people in mind to record the track but Jerry Bruckheimer, the film’s producer, came up with the name Kenny Loggins. I had not met Kenny before that, and we met and we did everything in one day — it was very fast. Kenny’s a very great singer. So yeah, that was just business and quickly done, but people still mention it so it makes me glad. I read you consider “Take My Breath Away” to be best song you ever did. It’s probably my best song, I believe. It has a great melody and Terry [Nunn] sang it beautifully. I think it has a very interesting bassline too, but at the same time, it was very pop. The production was great. I ended up getting another Academy Award for it, so yes, it’s probably one of my favorite songs. What about your work on the re-release of Metropolis? It another one that’s a real distinct, high-profile release and was part of a major restoration effort. Ah, you can write whatever you want [laughs]. I hated that project. Another famous soundtrack you worked on was Cat People which, of course, is where you worked with Bowie. In light of his recent passing, if you could, please share a bit about your friendship and time together. I met David a long time ago when he had his first hit with “Space Oddity.” I met him in Switzerland at a TV show appearance we did together. When he walked into the room I thought here’s this good-looking guy who’s also very interestingly dressed! I had a couple bubblegum-type records out at the time and like I said earlier, he had “Space Oddity” out. It remains my favorite song by him. I always thought he was great. 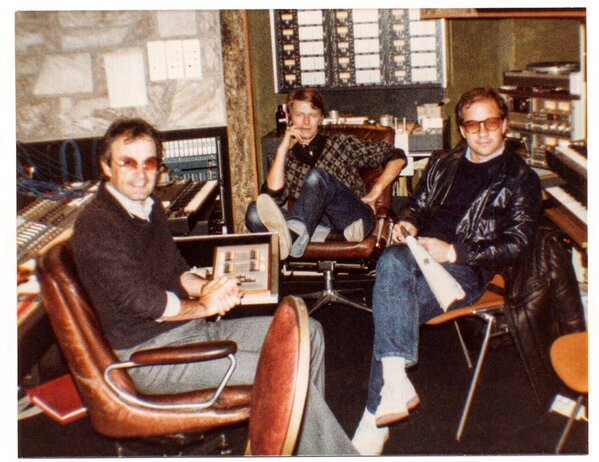 Giorgio Moroder and Paul Schrader assist David Bowie during the recording of “Cat People” at Mountain Studio in Montreux, Switzerland. We kept a little bit in contact through the years but nothing major. In the mid 70s he called me and asked if he could use one of my studios to record an upcoming project. The particular studio he wanted, Musicland, was in Munich and I said I was really busy at the time to go over. Plus, it was being used by all kinds of people—Blondie, Elton John, Led Zeppelin, so forth. 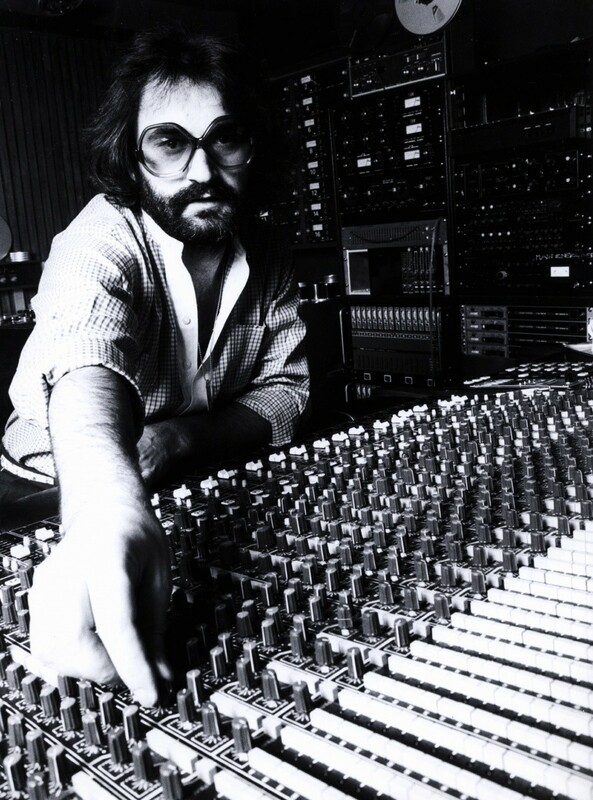 So I recommended him to use this studio in Berlin I had used quite frequently in the late 60s. He apparently did and spoke highly of it years later when we met again. What was the working process like? Well, many years later, this was in Montreux, Switzerland and I remember David walking into the room, tall and handsome. At the time I did an album, specifically a soundtrack, for a film called Cat People. This was the early 80s if I remember correctly, and we needed the main theme. I decided then that there was only one person who could sing it and that was David. So, fair to say he was in the way. Well, directors, I think, are used to taking multiple takes on set, doing everything over and over. But this was the music studio. So David, I remember, was very polite and said “If you want another take, okay. But Giorgio and I think it’s already absolutely perfect.” David then stood up and walked outside, presumably to smoke or something. But the director didn’t say a word after that. And that’s what you hear now. Many years later when David would come to Los Angeles, we would meet. Another iconic one, one of your biggest hits and one you’ve recently ended your DJ sets with is “Neverending Story.” Not only is it a perfect way to end your sets, it also bookends your career nicely. When I DJ now, everyone knows the words and sings along. And that makes me very happy. As an artist, I really cannot be any more thrilled. If you enjoyed reading this, please log in and click the heart icon below. This will help to share the story with others. Writer/Editor. Bylines: Wax Poetics, The Source, Pitchfork, Rollingstone.com, The Guardian, RBMA, Okayplayer, Egotripland, SJ Mercury News, etc.